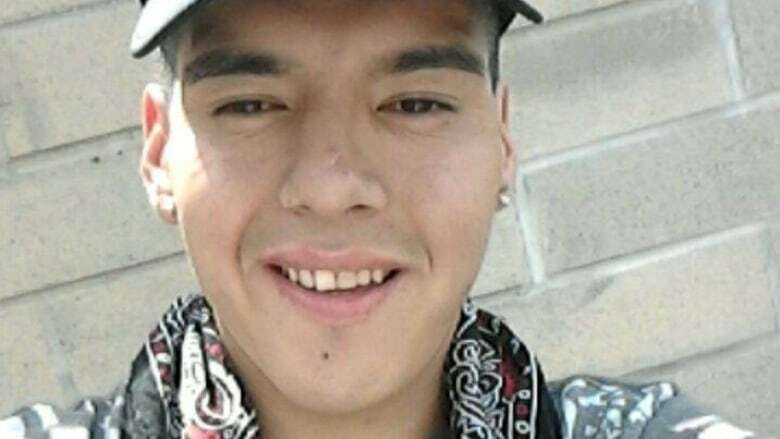 Relatives of a man who died in a collision that's led to the arrest of an off-duty Winnipeg police officer say he was a fun-loving young man who had a baby on the way. 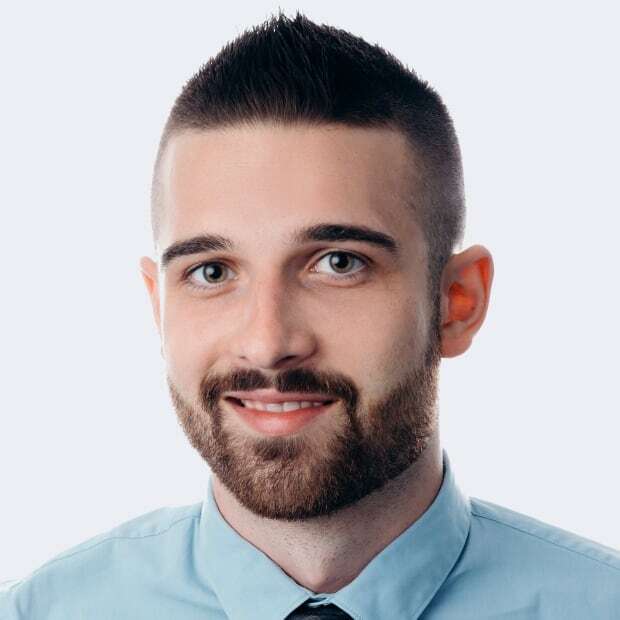 Relatives of a man who died in a crash that led to the arrest of an off-duty Winnipeg police officer say he was a fun-loving young man who had a baby on the way. 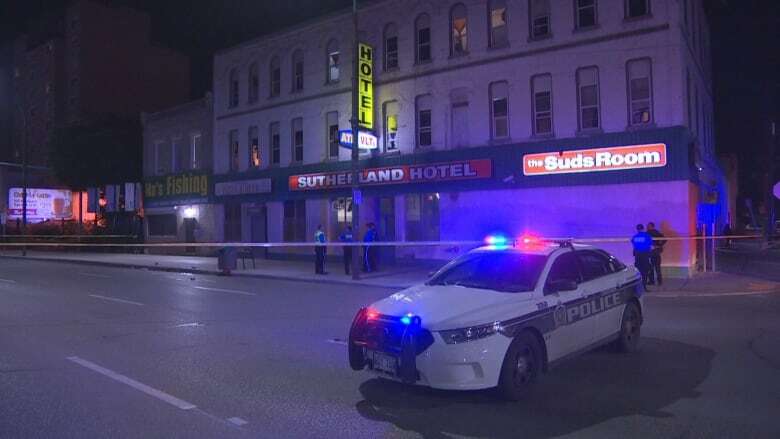 CBC News has learned Cody Severight, 23, was the man who died after being hit by a car near the corner of Main Street and Sutherland Avenue Tuesday night. "Cody was an outgoing and outspoken person. He would love to make everybody laugh," said Severight's stepmother, Barbara Thompson. 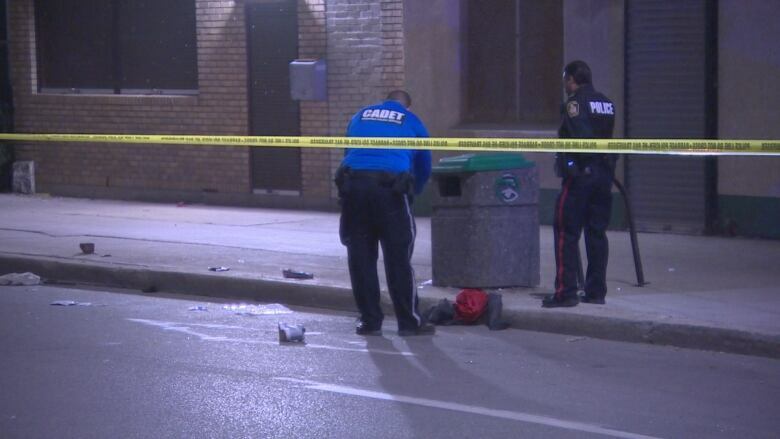 Winnipeg police said an off-duty officer has been arrested in connection with the death but no charges have been laid. Witnesses told CBC News the vehicle that hit Severight left the scene, however police have not called it a hit-and-run. A police spokesperson said no details about the arrest would be released until a news conference Wednesday morning. Thompson said she had seen her son about a half-hour before the crash near the Sutherland Hotel. She said he'd left to go for a walk with his girlfriend. "I was really shocked. I seen him just before that," she said. Severight's sister, Terri Brass, said she was in the area around 8 p.m. CT when the crash happened. "I thought it was two cars hitting each other, I heard a big smash," she said. "The car just kept on ... going, it didn't even stop." Brass said her brother loved to cook and was always there to help if people felt down. "My little brother was the best part of life. When you're feeling down he'll pick you right up. My little brother was the awesomest little guy anybody would ever want." Severight's family said they want answers from Winnipeg police — they learned about the officer's arrest from the media and want to know why the driver didn't stay with Severight. "Why didn't they tell us like right away?" asked Brass. Clothes still remained outside the hotel on Main Street Tuesday night as police redirected traffic from the area and Severight's friends and family grieved inside the hotel. Thompson spoke to CBC News earlier in the night while waiting for a ride to the hospital shortly after her son was hit. It was too late by the time she arrived. She said hospital staff wouldn't let her see her son because his death is part of an ongoing investigation. The Independent Investigation Unit, which investigates all serious incidents involving Manitoba police officers, is probing the death.